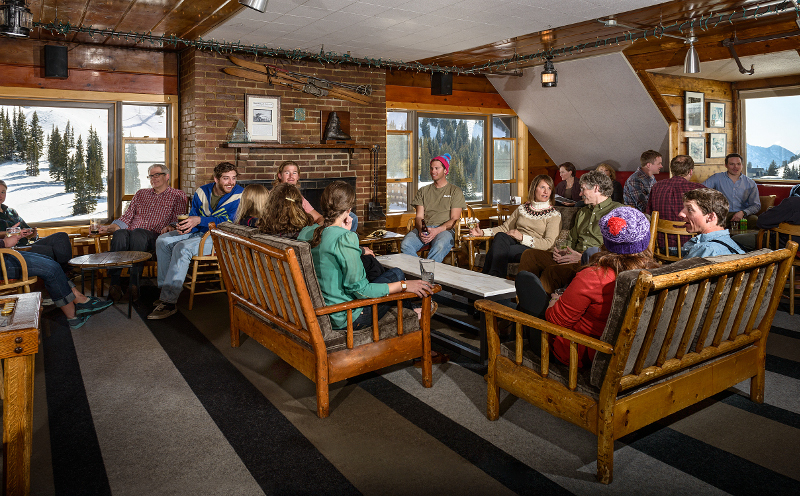 The Sitzmark Club is a classic ski bar located in the original building of the Lodge. It’s the perfect spot to relax in front of the fireplace, looking out on the mountain with an après ski drink, soaking in the feel of our warm and historic lodge. 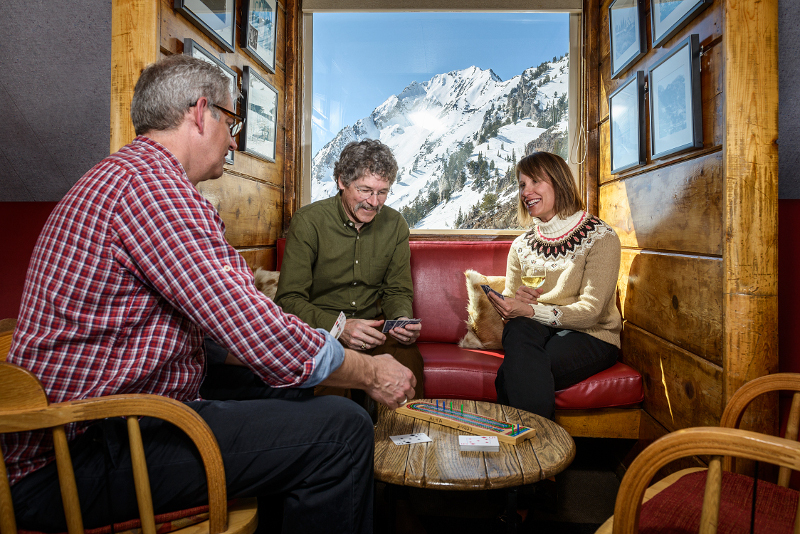 In 2011 USA Today named the “classic, intimate” Sitzmark one of “10 great places for après-ski nightlife” in North America. Guests must be at least 21 years old to enter the Sitzmark Club. Entry may be limited to Alta Lodge lodging guests at any time.